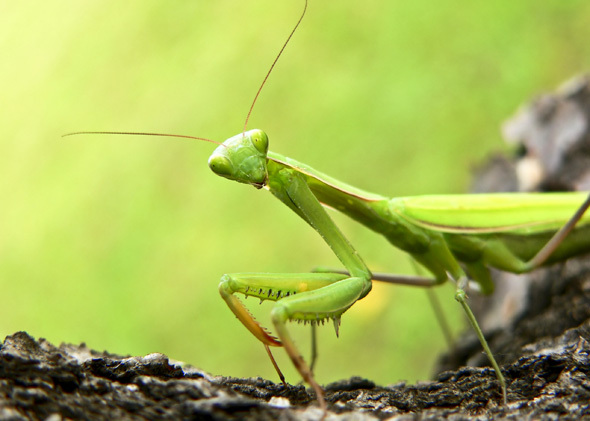 Praying mantises are not endangered they never were. 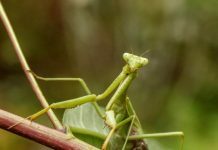 Some people have long assumed that mantises are not only endangered—they’re also protected by federal or local laws and that it’s illegal to kill one in the wild. 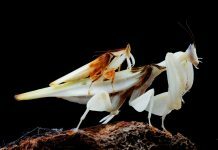 However, belief such as this doesn’t seem to stand to any logical explanation for the mantises are not even close to endangerment. Let’s see why! 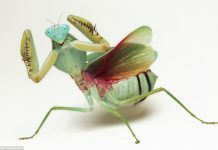 Worldwide, there are more than 2,000 species of mantis but none of them is threatened or likely to die in near future. North America is home to around 20 praying mantis species. 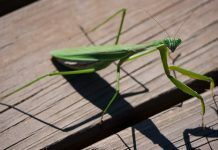 Most North American species including mantis are not endangered. 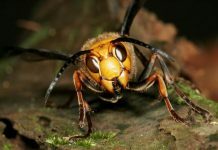 There are few places (like Belgium) where mantises are protected legally along with butterflies and other bugs but the overall population appears to be stable. None of the North American mantis is thought to be endangered. There are no legal consequences for killing a mantis in the United States either. However cruel it might seem to be, killing a mantis isn’t against the law. All the above rumors might have possibly originated from Ancient Egyptians and Africans or early civilizations because they consider mantises as a species possessing supernatural powers. 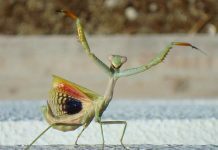 Even so, people worship mantises in some parts of the world. Mantises aren’t poisonous nor do they threaten human fields. In fact they are considered as beneficial insects because they eat harmful bugs. Therefore, the conservation status of a praying mantis is currently out of the question.